It isn't a very good picture. 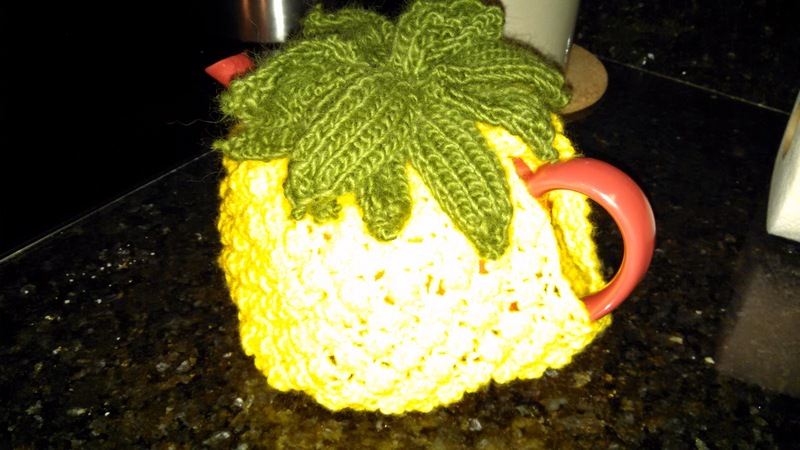 At left, my new tea cozy: a pineapple. It works, too. My last cup is not longer tepid but just this side of "not hot" which for the last cup is acceptable. It's been in the works for a time. I'm getting old. My wife knitted a tea cozy. Hmm. Lucy me! Big nap tonight after work. It's cold but there was some sun. It helped. Still with a cold though. Seems to be the winter of the constant cold. Thus, a nap. I'm doing a little rewrite-edit dance: the sort we do on our earliest chapters when we're obsessive and need to get a couple of things back into the outline that we hadn't planned. It happens when we thought we know the story; but, maybe we didn't quite understand the story. When you have an unexpected conversation with a neighbor erupt because you gave the protagonist a truck that wouldn't start and that became a whole "wife who ran off" sort of tale, you need to revisit the outline. You think - did she run off? I mean, he said she ran off but no one was close enough to her to hear from her again and ... But no, she ran off. We want an element of doubt but we're not going to have him kill his wife. Are we? I've written about this phenomena in these pages. You have ideas emerge on the page you didn't intend to produce and you're not sure how they came to life. You get these twists and turns because you're writing. I think you get them because you're in a good mental state for writing. I think you're comfortable in the world you've made so changing a waltz to a tango doesn't phase you at all. Suddenly, the swanky new dance steps seem just right. You become even more comfortable with the story. Then, it's off to the race and the prose staggers from your hand like the ink-drunk monkey you are. 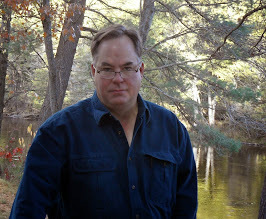 After all, if writing is making decisions, then we as a whole fellow writers are some of the worst individuals to be put in the road to make those decisions. Brunette or blonde? Rich or poor? In the library with a candlestick or in the kitchen with a noose? We can't even order coffee. I've seen you in line debating a double skinny crapachino with a shot of hazelnut. You, We put you in charge of a billion decisions in the novel. Must be the cozy factor. It comes through when I curl up with your novel and feel all cozy, too. Especially on dark Tuesday nights in winter. I'm getting another blanket, just in case. And tissues.